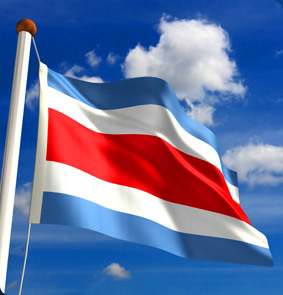 Central America and especially Costa Rica has seen a large surge in Biofuel initiative. There new Biofuel cooperative projects, intercropping (with food and oil bearing plants) development, including a new investment wave called Multi Purpose Real Estate, UBA (United Biofuels of America. Investing in bio-fuel is profitable in the short term and long term and helps reduce dependency on unstable foreign sources. Here in Costa Rica the governmental bodies have full buy-in to renewable energy and sustainable agro developments. Costa Rica is attempting to produce ethanol and biodiesel on a large enough scale to eventually reduce or even replace petroleum fuel. The state oil company, Recope, is constructing a large processing plant, the government is about to release a plan for the industry’s development, and the Institute for Agrarian Development, is engaged in research projects for certain products to convert to biofuels. At present, ethanol is produced from sugar cane and to a lesser extent from yuca (cassava), a root crop. There is some production of bio-diesel from African Palm oil. Research is ongoing with respect to very promising oil seed crops for biodiesel, higuerilla and jatropha. There is ample opportunity for investments in these crops to supply a local and international market. Petroleum prices are expected to remain at high levels. Biofuels reduce vehicle emissions when mixed with or replace gasoline or diesel. However, when biofuels are produced on a large scale there are also large scale environmental and social consequences, especially when the source of ethanol is corn or soybeans for biodiesel or when growing crops that displace food crops or convert forests to crop lands. These adverse environmental and social consequences are mitigated when biofuel crops are grown on land that had been previously deforested and converted to cattle pasture. In Northern Costa Rica there are vast expanses of unproductive cattle pasture, much of it mechanizable and not requiring irrigation. This is a good opportunity to promote the conversion of cattle lands to socially useful and productive crops. This is already occurring with the proliferation of pineapple, root crop, and palmito plantings. However, it makes good sense to plant many more food crops there, such as rice, beans, and animal feed, while still leaving space for biofuel crop cultivation. Presently, there is a project that involves an effort to plant thousands of hectares of jatropha in Costa Rican and other countries. The oil from the seed is converted to diesel and no modification of diesel motors is required. Yield is high, production costs for the hardy plant are low, and demand is potentially infinite, including for aviation fuel. The company engaged in the project invites equity participation, as well as offering technical assistance and production contracts to growers. An excellent investment for animal feed is in pejibaye, a palm nut fruit that is very high in protein and other nutrients. Research on pejibaye has demonstrated that it is superior to corn or other grains for animal feed, especially for poultry. The fruit is also very nutritious for human consumption, including for baby food. Pejibaye palm is very productive, much higher yield than grains, and has a low cost of production. Costa Rica spends hundreds of millions of dollars annually in importing grains for animal feed and development of this high yield crop would be an excellent import-substitution measure and help reduce the nation’s chronic balance of payment deficits. The export market for prepared chicken feed would also be excellent. To accomplish this on a large enough scale to make a difference will require the support of the Ministry of Agriculture, the Institute for Agrarian Development, and other government planning institutions. With recent increases in food prices Costa Rican officials and the general public has become concerned about food sovereignty, that is the cost and availability of food imports. While Costa Rica is largely self-sufficient in fruits and vegetable, dairy products, and meat and fish, this is far from the case with the basic staples of the population’s diet, rice and beans. Domestic production accounts for less than half national consumption of these staples. Corn and other grains are almost entirely imported. There is ample land for mechanized cultivation of these crops, especially in the Northern Zone.